Renowned sportswriter David Goldblatt has been hailed by the Wall Street Journal for writing 'with the expansive eye of a social and cultural critic.' 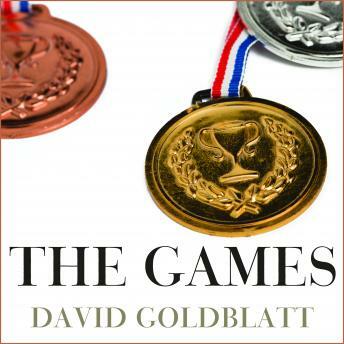 In The Games Goldblatt delivers a magisterial history of the biggest sporting event of them all: the Olympics. He tells the epic story of the Games from their reinvention in Athens in 1896 to the present day, chronicling classic moments of sporting achievement from Jesse Owens to Nadia Comaneci, the Miracle on Ice to Usain Bolt. He goes beyond the medal counts to explore how international conflicts have played out at the Olympics, including the role of the Games in Fascist Germany and Italy, the Cold War, and the struggles of the postcolonial world for recognition. He also tells the extraordinary story of how women fought to be included on equal terms, how the Paralympics started in the wake of World War II, and how the Olympics reflect changing attitudes to race and ethnicity.